The following article by licensing consultant Jeff Grinspan discusses his observations of the 2012 Surtex show and conferences, the value in exhibiting, and tips on what to do after the show. Jeff's company, Grinspan & Co. specializes in consulting with artists and manufactures on the business of art licensing. His over 20 years in the art licensing business includes 13 years at Sakura (dinnerware and tabletop division of Oneida Ltd.) as VP of Licensing and Design, licensing director for Wild Apple Graphics, and for the last six years the responsibility in producing the Surtex conferences. With so much invested in the show (preparation of art, display materials, booth, hotel, airfare, meals, comfortable shoes, hand-outs, ipad portfolio uploads just to name a few) it's hard NOT to expect so much in return. The show is important- so YES.. you need to view it as a part of your overall marketing strategy. But, try not to get bogged down in numbers of visitors or immediate ROI (Return on Investment) This process is a 2-3 year cycle.. so NO, you can't evaluate your success on how you did at the show by head count... especially when filtered by the posts of others.. Remember, your art is unique.. so the buzz (or lack of) from others may apply to their work.. not yours.. While not the same mathematical value of dog years to human years, there are prospective licensees who are big companies, who rely heavily on licensed art, who don't exaggerate, who move lots of product and in turn generate nice royalties. So keep the quality of your leads in mind when you try and respond to everyone who walked into your booth and wanted every image emailed to them in 24 hours. 3. A creative mind is a terrible thing to waste.. The conference program speaker roster was cram packed with industry professionals who graciously shared their insights, experience and advice. Several blogs have already summarized the salient content of many of the seminars. Knowledge is valuable.. so digest and learn. There were two topics addressed that remain debatable. Should I use an agent or not? Should I try to establish myself as a brand or not? We've covered them in years past but they remain issues that each individual artist has to resolve. But there is one overriding conclusion regardless of which side of the fence you come down on- GREAT art sells… so concentrate on fine tuning your art so it ends up GREAT. And your brand will follow, and whether you go it alone of want to find an agent, your GREAT art will lead the way..
My opinion- the art displayed at the show this year was the most exciting, refreshing and dynamic in the last 6 years! Some have suggested this is a result of the economy picking up and retailers now willing to take some chances. Others claim that there is a 7 year cycle of art and we've just ended one cycle and ready for the next. Doesn't really matter, does it? See paragraph #3! The great news is that there's excitement back on the floor! It also means we're energized to come up with some new ideas for next year's seminars.. so stay tuned. and not give up until you actually hear "Please do not call/email/send me anything else because ____________" If you don't get some kind of response in a reasonable amount of time, then move on. If your art is worthwhile, believe me, you will hear from them. Trade shows - despite the relatively high cost of participation, remain the single most effective way to reach loads of interested prospects in one place, at one time. The value of SURTEX (or any appropriate trade show) goes beyond head count. Want to hear more on what Jeff Grinspan has to say about art licensing? 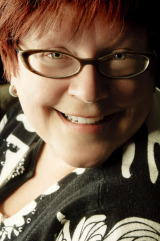 He is giving a free "Ask About Art Licensing" teleconference with Tara Reed on 7/18/12. Signup at askaboutartlicensing.com and ask him a question if you wish. Also get a free replay of Jeff's 9/21/11 teleconference from Ask about Art Licensing. Art licensing consultant Jnet Smith is offering a FREE teleconference class + handouts this Wednesday May 30, 2012 at 1 PM PDT (4 PM EDT) on tradeshow follow-up tips. For more information and the link to sign up, go to All Art Licensing blog "Trade Show Follow-up Techniques. To find out about future classes and free Friday Ask J'net Q&A teleconferences go to All Art Licensing website. Art Licensing: A Very Successful 2012 Surtex Show! When looking at the above promo video of the 2012 Surtex Show, you do not see many overly crowded aisles of manufacturers looking at art. From what I remember about the 2011 show, the traffic was much less than this year. Although not all exhibitors have the same impression. According to Surtex management attendance was up 32% from last year. But no matter if attendance was up or not, it did not matter because art directors were definitely looking at art to license and they knew what they wanted. Exhibitors reported that there was a steady stream of traffic looking not only at the art on the booth walls but flipping through binders and iPads, and requesting images be sent for licensing consideration. On Linkedin's Art of Licensing group page, exhibitors said that art director's showed up for their appointments (not always the case) and that they visited the booths at the back of the showroom (not always the case). Several licensors even reported that some art directors were ready to sign contracts at the show instead of the normal wait time of months. Another licensor said that she had art directors follow-up with her before she even had a chance to do any follow-ups. No wonder blog articles describing the show had adjectives such as amazing and fabulous! If the positive response exhibitors experienced at Surtex is any indication, this should be a great year in licensing art. Many blog articles about 2012 Surtex and National Stationery Show have already been posted online. And, I am sure more will soon appear. Below are a slew of posts that I found including two very informative ones including notes on what the artists learned while attending the excellent conferences at Surtex. This year Surtex again offered a whopping ten conferences by licensing experts who volunteered their knowledge and time. Also listed are exhibitors describing their Surtex experience, and artists walking the show describing their impressions and the trends they saw. • Natalie Timmons "Surtex Conference Recap"
• Shelley Brown "Surtex: a learning experience"
• Liz Sacks consultant for artists and branding managers "2012 Surtex/Stationery Show Recap"
• Louis Gale "An afternoon at Surtex: Selling & Licensing Original Art & Design Show in New York City"
• Marilyn MacGregor " Trending towards the Warm - Surtex and Letterpress Printing"
• Shell Rummel "Impressions from Surtex & National Stationery Show -"
• Beverly Dyer "Surtex 2012 New York City!!" 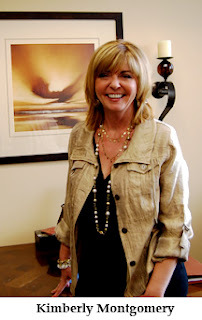 • Carol Van Zandt "Surtex 2012 It was a good one!" • Jen Griggs Sebastian "Surtex 2012 was Amazing"
• Jim Marcotte agent for Two Town Studios "Surtex: the Good, the Bad"
• John Chester agent for Wild Apple "Surtex Report"
• Kathy Weller "Another Surtex in the books"
• Sharon Sowell "My art goes to the Big City"
• Ronnie Walter artist/agent for Two Town Studios "Back from the fabulous Surtex"
• Tara Reed "Surtex 2012 - adventures, impressions and more"
• Vita Mechachonis "Surtex 2012 recap"
Coffee mugs with art on them are sold in all sorts of retail stores but not much of the art is licensed to companies that make the mugs. With the advent of dye-sublimation printers and the ease in printing art on various products including straight-sided mugs, print-on-demand stores have sprung up everywhere on the internet. 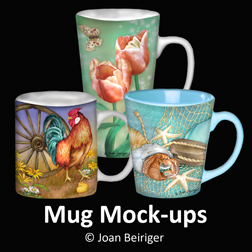 Most mug manufacturers no long license art and sell their mugs to retailers. Instead they either sell mugs with custom art supplied by individual consumers or to companies that purchase or license art. Note: In the art licensing industry, the name "manufacturer" is really a misnomer because most "manufacturers" that license art is really product converters since they do not actually make the products. Instead they purchase or license the art and outsource the manufacturing of products to other companies. Mugs are NOT usually the major product that product converters sell to retailers. It is part of their product lines and many times these companies want to license art to go on multiple products. Thus, an artist needs to create art that is suitable for many of the products the company sells. And that means before submitting art, the artist should do her/his homework and look at the company website to see the type of products and make sure the art fits. For instance, Lang company sells calendars, cards, stationery, jigsaw puzzles, tote bags, flags, melamine dinnerware beside mugs. Therefore, when submitting art for licensing consideration it may help in getting a contract if the art is already formatted to approximately fit the product shapes the company sells. So for Lang, an artist should submit a tearsheet with a collection of art that is formatted vertically and horizontally & various icons and borders. Different processes are used to place art on a mug depending on its shape. The following links show two methods. • Straight sided mugs: "Art Print on Mug"
• Curved sided mugs and products: "Transfer Printing Process on Promotional Mugs"
1. fits their product lines. If they are selling mugs with only slogans or inspirational words and messages, then they probably are not interested in licensing art with iconic images. Or if they are using only graphic styled art on their products they probably are not interested in licensing realistic fine art images. 2. is formatted horizontally. The company usually wants art twice the size of the mug. Thus, a 4 inch high mug with a circumference of 12 inches and art placed on only 9 inches of the circumference should be 8 by 18 inches. 3. has different themes than what they already have. But be aware of the type of themes they carry. For instance, if all they carry is Christmas art on mugs they probably will not license everyday themes. Read more articles about Manufacturers and the products they license under the Topics section on the side bar. I welcome any comments and additions to the mug company list. Please click on the comments section (below) to write your comment. Disney, consumer products, entertainment, characters, and sports earn the largest revenue in licensing their brands. 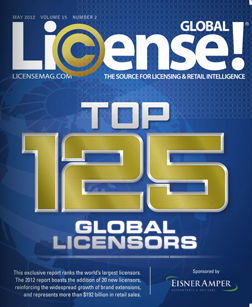 In comparison art Licensing is a small segment of the huge licensing industry so it is not a surprise that there were only a few art licensors listed in the article "Top 125 Global Licensors" for 2011. It was published in the May issue of License! Global magazine by Advanstar Communications (page T1-T31, after page 26). For 2011, Thomas Kinkade's art was listed as selling $425 million on product at retail, Jim Shore's art $148 million, agency MHS Licensing artists art $96 million, and agency Art Impressions artists art $65 million. Some of the artists that previously made the list has not make it the last two years. That indicates that the depressed economy has drastically affected art licensing revenues. Read the following articles that show the ebb and flow of products sold at retail of art licensed by the top art licensors. 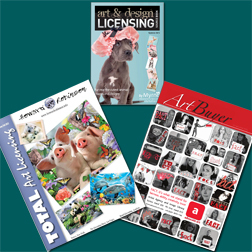 The digital edition of three art licensing publications (Art Buyer, Art & Design Licensing Source Book, Total Art Licensing; all published in the UK) have recently been released just in time for Surtex and the International Licensing Expo. The publications showcase the work of US and European artists and include informative articles about licensing art. They are also a wonderful resource for viewing what type of themes and images artists feel are licensable and on trend. Because many US art trends seem to come from Europe, it is a good opportunity to see what kind of images that European artists are creating. Note: The Art & Design Licensing Source Book publication features the work of more European artists than the other two publications. If you’re an artist looking in search of an agent in the art licensing business, there’s one question you have likely asked yourself a time or two – “Why don’t agents ever call me back?” Unfortunately the answer is not as interesting, life-altering or even as clever as you might have expected. In fact the answer is pedantic and pragmatic. They just don’t have the time. Really. That’s all there is to it. A talented agent is swamped with business – more work than can ever get done in a day. But, you say, there must be a slow season - time to catch up, return calls, clear the decks. Well, even if things do slow down, there is marketing to handle; tasks that bring in the bucks. In other words, spending time on “non-income producing” activities, like returning the calls of hopeful artists, just doesn’t make it to the top of an agent’s to-do list. Sad, but true. The thinking, from the agent’s perspective, is that he or she must keep business going for each of the properties they already represent. Most agents are simply not looking for more artists; their looking to mine the works of the artists they already represent. Counterintuitive, you say. Don’t they need new artists, new business, in these challenging times? Well here’s the inside scoop. If an agent saw the work of an artist with great potential (read money making here), a spot would magically open up. The agent’s calendar would morph to fit in time for that fresh artist. I know. I’ve taken this approach myself. I routinely say that I’m not looking for another artist…until someone incredibly talented comes along. If that happens, that artist gets my attention right away. I am suddenly available. The truth is, there are many more are many more artists looking to break into licensing than there are agents available to represent them. That, and the fact that the level of talent in the industry has become so high, make becoming a successful, and profitable, licensed artist a daunting task. So, what’s a new artist to do? Well that’s the good news – there are steps to take. First, make a list of all the agencies you are interested in having represent you. Then put together a concise, clear and pithy email stating your intention to develop an agency relationship. When you send the email, include a few low-resolution jpgs of your very best work, along with a link to your website. Let your work speak for your talent. Send off your missive and then keep your fingers crossed. If you don’t hear back, put a note on your calendar to send updated work in three months. New work. Innovative work. The kind of work that stops and agent in his or her tracks. And now I bet you’re asking yourself a new question: “Really? That’s it?” The answer is “yes.” That’s it. Breaking into this industry is a challenge that will require both patience and persistence. Think of it as a marathon, rather than a sprint. Put your best foot (work) forward, press on and strive to show leading agents that your work is fresh, energetic and profitable. Good luck! Artists have heard and probably use the staid-and-true methods of marketing their art to gain visibility such as displaying their art on their website, exhibiting at tradeshows, sending out press releases, advertising in trade publications, having a blog and other social media such as Facebook, twitter. The problem is that although these are important and works an artist needs to market also so that her/his art stand out from the competition. The reason is manufacturers are bombarded with submissions from thousands of artists with outstanding art and an artist can get lost in the crowd unless she/he can somehow make an impression. An astonishing example on making an impression and marketing outside-the-box is illustrated by Johanna Basford. She is a United Kingdom illustrator that creates intricate hand drawn ink illustrations. She set her sights on having her Christmas illustrations placed on UK Starbucks paper cups. She decided to market outside-the-box by bombarding Starbucks with Starbuck cups decorated with her art on it. Her story is an amazing journey of a dream, VERY hard work, persistence, and not giving up. And Johanna prevailed. After 18 months she got a deal! BUT it was not to create art for cups (yet) but to create wall paper for Starbuck's London Vigo Street store in time for the Olympics and the Queen's Diamond Jubilee. Read Johanna's story on her blog "Starbucks 16 April 2012" and view pictures of her impressive presentation and art that she sent to Starbuck. She also inspired her blog readers so much that they got involved in her mission. Besides using Tweeter and Facebook to give a thumbs-up, they wrote letters to Starbucks headquarters and left customized Christmas Cups on UK Starbucks tables. 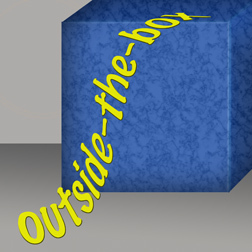 Now THAT is marketing "outside-the-box" !!! Observation: Notice the designs, art styles, and color or lack of in the art shown in the above links. These are very different than designs found on most products in the US. Artists that have a similar art style and color pallet, might consider approaching UK manufacturers with their art. • "Interesting Example of Out-of-the Box Marketing Ideas"
• "50 Out of the Box Marketing Ideas for Small Business"
• "18 Tips To Bring Visitors To Your Artist Website"